Buckingham, PA | Natural Carpet Cleaning & More! If you are one of the many Buckingham homeowners out there who are looking for the very best in quality house cleaning services for your home, then you have come to the right place. Here at A1 Sparkles, we are known as the premier house cleaning company throughout Buckingham and the surrounding areas, we specialize in a wide range of high-quality house cleaning services, including carpet cleaning, tile & grout cleaning, upholstery cleaning, hardwood floor cleaning, and much more. Are you looking for a professional Buckingham house cleaning company who can provide you with the quality cleaning services you need to keep your home looking its best at all times? If so, give our team of skilled professionals a call today and let us show you the kind of quality service that has helped to make us the most trusted name in house cleaning services throughout the local area. Here at A1 Sparkles, we understand that your home is likely one of the biggest investments you will ever make, and we want to do everything in our power to help you protect that investment and make sure that the inside of your home is a place where you and your family can go to relax at the end of a long day in peace. We offer a comprehensive line of quality cleaning services to help you ensure that your home remains a clean and healthy place for you and your family to enjoy, including carpet cleaning, duct cleaning, tile & grout cleaning, and even cleaning for your hardwood floors. If you have any questions about our full line of high quality house cleaning services, or if you would like to schedule an appointment for consultation with one of our specialists, give us a call today. Our team of experts are always standing by and would be more than happy to assist you in any way we can. When it comes to cleaning your home, your air ducts are likely one of the most common places to overlook, but they might also be one of the most impactful when it comes to maintaining a clean and healthy household. 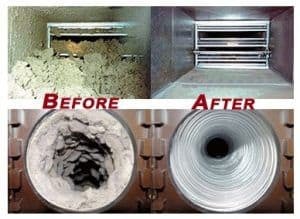 Over time, your air ducts tend to collect a great deal of dust and other debris that makes its way through your HVAC system, and if you don’t get them cleaned out often enough, this buildup of dust and debris can continually get cycled through the air of your home, contaminating the air you and your family are breathing. Investing in a professional duct cleaning service will not only help to improve the indoor air quality of your home, but it will also make it that much easier to keep the rest of your home clean as you won’t have dust and dirt continually being pumped throughout your home. If you are looking for expert cleaning services in Buckingham, give us a call today at 610-292-9069 or fill out our online request form.